In 1996, Dr.Tan Lai Yong joined a village doctors training project in Yunnan, China, moving there with his wife and children. Foregoing a predictably comfortable life in Singapore, Dr.Tan spent 15 years in rural China providing healthcare to the local poor and training a new generation of doctors. His work in Yunnan has earned him respect and recognition, including an award by the Singapore International Foundation and the 2004 National Day Friendship Award by the Chinese government. Join the event to listen Dr.Tan to share his thoughts and experience in China, as well as priorities in serving, learning and growing in the midst of fast-paced living in Singapore. It will be an evening of dialogue, conversations and discovery. 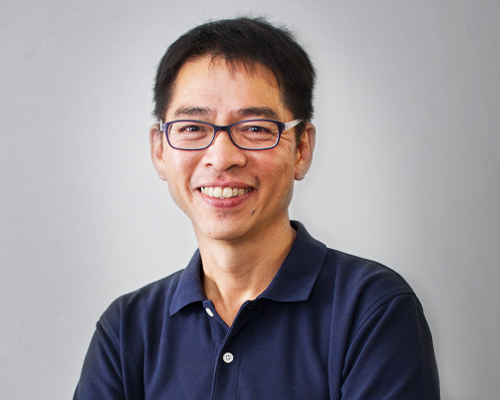 Dr Tan Lai Yong is currently the Director for Outreach & Community Engagement and a Senior Lecturer at College of Alice & Peter Tan, and an Adjunct Senior Lecturer at Saw Swee Hock School of Public Health, NUS. Upon graduation from NUS in 1985, Dr TanLai Yong worked as a doctor in Singapore. In 1996, he and his wife, and one year old daughter moved to Yunnan, China, and joined a community development team, working with the poverty affected in remote villages, caring for orphans, disabled children and leprosy affected.In his 15 years on Yunnan, he had to cycle about 30 km daily, create innovative ways to teach health and hygiene to the different Minority Ethnic groups and villages, plan for “surgery camps” for cleft palate babies and other disabled people, and also initiated tree planting (eg walnut) efforts that led to thousands of trees being planted to help raise farm income and also reduce soil erosion.As part of the China National Day celebrations in 2004, Lai Yong was given the Friendship Award for Foreign Experts at the Great Hall of the People in Beijing, an event that was graced by Premier Wen Jia Bao. Lai Yong was also given the Singapore International Foundation (SIF Award) presented by Mr. Lee Hsien Loong and the 2005 Singapore MILK Fund (Mainly I Love Kids) Award for Outstanding Youth and Children’s Worker by President Nathan. In 2007, the Yunnan Provincial TV Station ran a series on people in Yunnan and the viewers voted Dr Tan Lai Yong as one of the “Good Citizens of Kunming”（昆明好人）Lai Yong has written several books and his first book, “Biting the Bamboo” – Experiences of Work and Life in Yunnan, is in its 5th printing. He also wrote the book , “Two Ears But Only One Mouth – Reflections on Wisdom in Rural Yunnan” and “Pilgrims” – A Photo journal of life in a Dai Village in Xishuangbanna ( a joint publication with photographer Andrew Chew). He is married to Lay Chin and has two children.